The print size is 10x10" and it has a 1" border all the way around to accommodate framing. 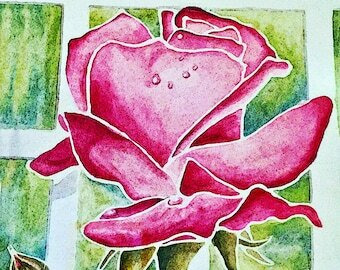 Paper size is 12x12". 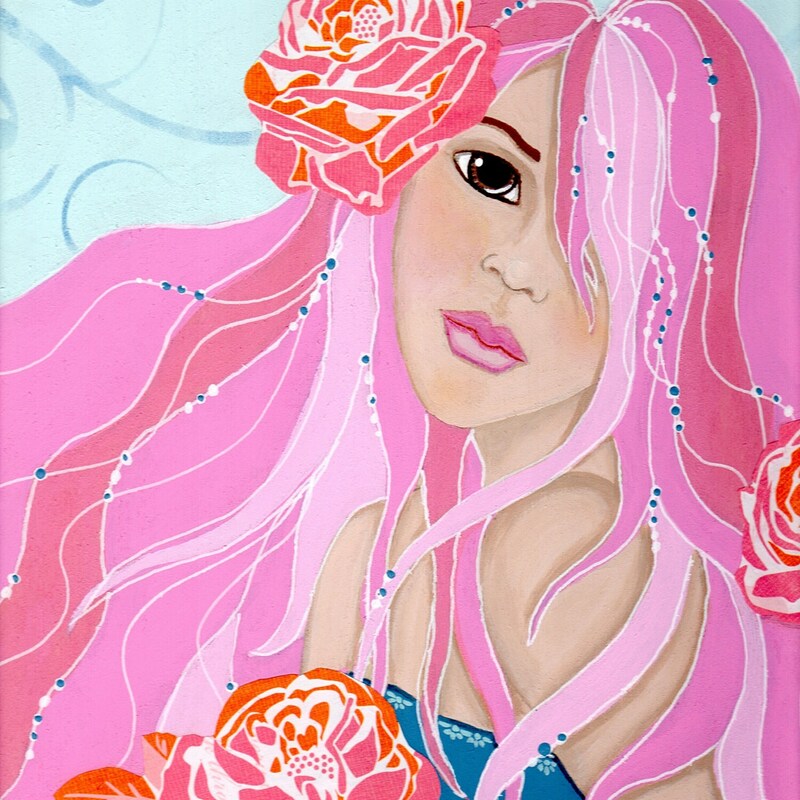 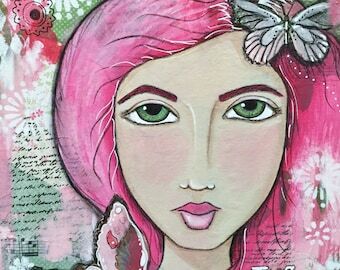 The original mixed media portrait, that I call 'Rose Beauty,' was made with acrylics, Neocolor crayons, acrylic paint pens, and was painted on wood.